RAMALLAH, Palestinian Territories, Feb. 25 ( KATAKAMI.COM / AFP) – Activists across the Middle East are using Facebook to bring down regimes, but Palestinian prime minister Salam Fayyad is using the site to seek input on his new government. 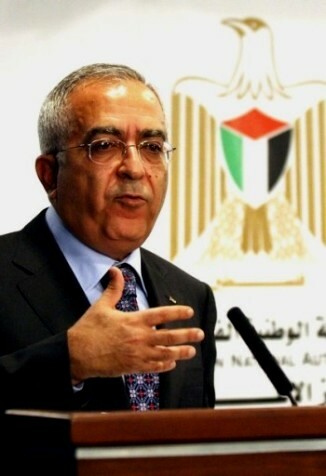 Using his Facebook page, where he provides his slant on political developments and news, Fayyad is asking Palestinians to describe what they want from a new government and who they want to see in the cabinet, AFP reported. Fayyad and his ministers quit last week as part of a planned reshuffle that saw Fayyad immediately reappointed and tasked by Palestinian president Mahmud Abbas with forming a new government. He has pledged to consult widely within Palestinian society on the make-up of the new cabinet. Known as one of the more tech-savvy figures in Palestinian politics, Fayyad is on Facebook and Twitter, with both accounts maintained by his staff. Hundreds of people have responded to his request, happy to offer their opinions and choices for ministerial posts. “Who are the people you think are most able to help the prime minister implement these priorities, especially those related to young people’s interests and issues?” Facebookers were asked. Government spokesman Ghassan Khatib said social networks were an ideal tool for tapping into the opinions of young people. “Huge numbers of youth log on to the page every day and say what they think about the upcoming government and the nature of its work,” Khatib told AFP. A consultant to Fayyad, who spoke on condition of anonymity, said the Facebook page was a good way “to get a sense of the general mood” of Palestinians, though he stressed it was not the only tool being used. The outreach comes as pro-democracy demonstrators across the Middle East are using Facebook and other online communication tools like Twitter to organise anti-government demonstrations. Nashat al-Aqtash, a professor of media at Bir Zeit University in the West Bank, said using Facebook to consult young Palestinians was a “smart move.” “Getting young people involved through Facebook… will give them the sense that the government is trying to involve them in its future policy,” he told AFP. The reaction to Fayyad’s outreach was largely positive, with several of the hundreds of commenters thanking him for the chance to offer ideas. The overwhelming priority was “unity” between the Palestinian Authority that controls the West Bank, and the Islamist Hamas rulers of the Gaza Strip. Hamas and Fatah, the party of Abbas, which dominates the Palestinian Authority, have been bitter rivals for years. But tensions between the two boiled over in 2007, a year after Hamas won legislative elections, and culminated in bloody clashes that saw Hamas take control of the Gaza Strip and oust Fatah. Since then, governance of the West Bank and Gaza has been divided, with neither side recognising the other’s legitimacy and several failed rounds of reconciliation talks. But many ordinary Palestinians have grown tired of the political split. “What we care about in the new government is that it should be close to people regardless of political affiliation,” Fatina Nammari wrote.